The second book in this wonderful series was marvelous! I was waiting with bated breath for Quest Two. I eagerly tore through Quest One and was delighted when I was sent Quest Two. And I waited until after my wedding to be able to give it the attention it so deserved! Now I wish I hadn’t waited so long. The second book in this wonderful series was marvelous! It most definitely ranks up there with the first book. JJ, Linc and Rani are off on adventure number two. Their help is desperately needed in Egypt once again. 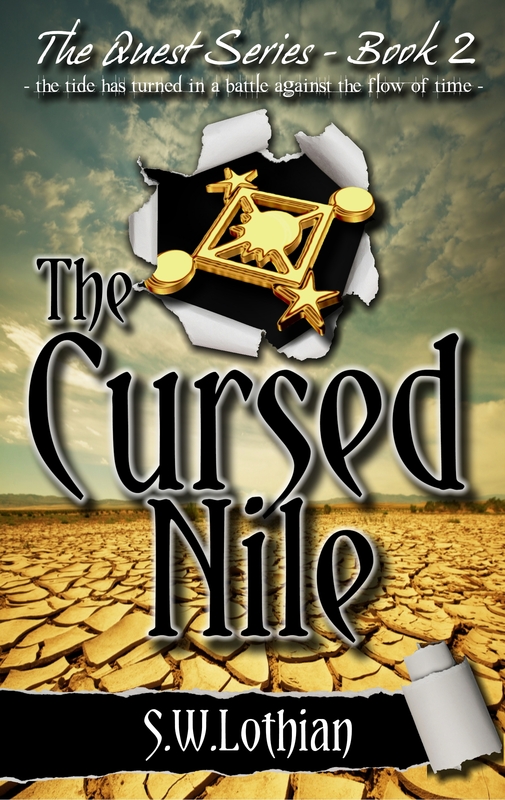 This time the Nile has vanished – the water has stopped running in both the past and the present. SW’s novel is action packed and full of the excellent adventure tat takes place in his first book. It is also chock full of information about Egypt’s past and myths/legends. I loved that I learned some history about Cairo and the building of the Great Pyramid and The Sphinx. Once again, when I have children I’ll be more than happy to read this adventure tale to them at bedtime. Can’t wait for Quest Three to see where the three amigos will be summonsed to next! It’s time to join the Quest? Previous Post A change is as good as a holiday!